I am obsessed with this look! 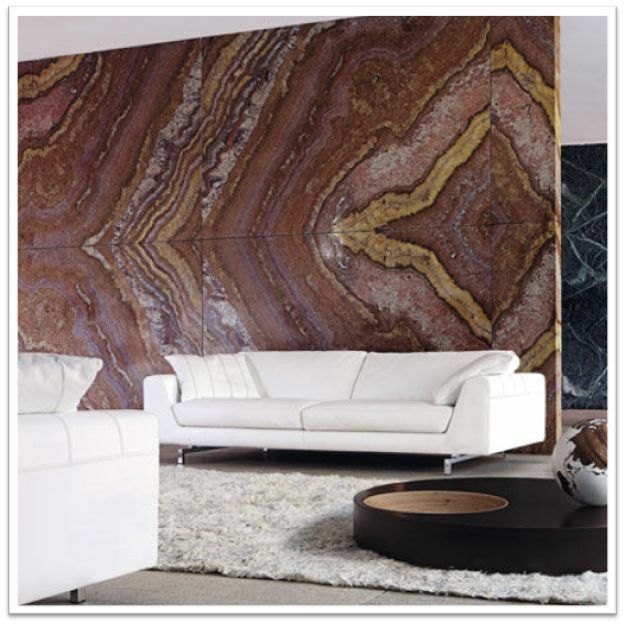 Marbled walls are not just for the bathroom anymore, but great for a small space like an entry way or powder room. 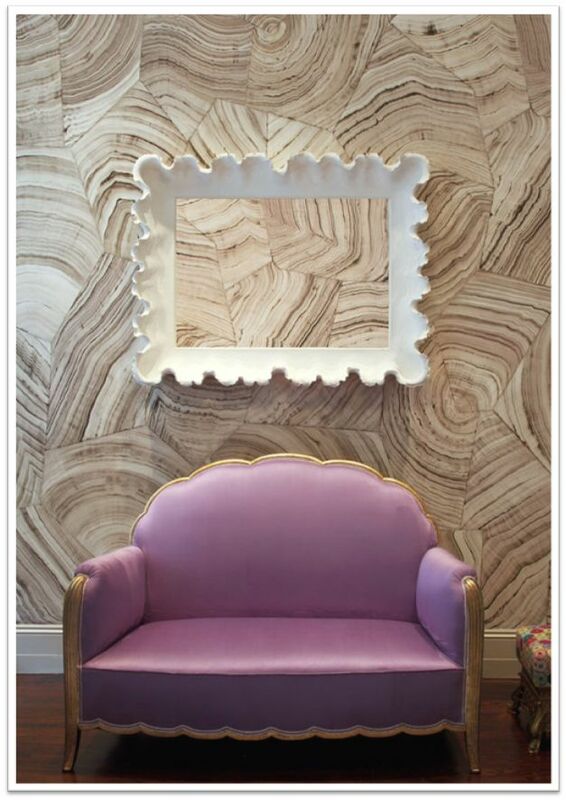 Kelly Wearstler had this done in her own house. It is a bookmatched marble, where it is made to look like two halves of the same piece of marble are opened like a book. Gorgeous! Or what about this room from Roche-bobois! I love everything about this dining room…. 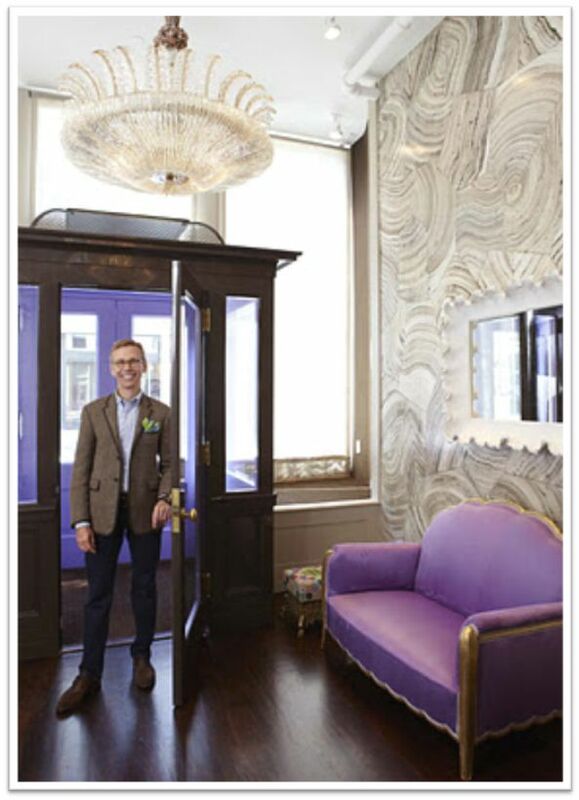 And then there is Mish Tworkowski’s Salon … hand painted walls by Mark Uriu Studios to look like petrified wood. I die. Love this! 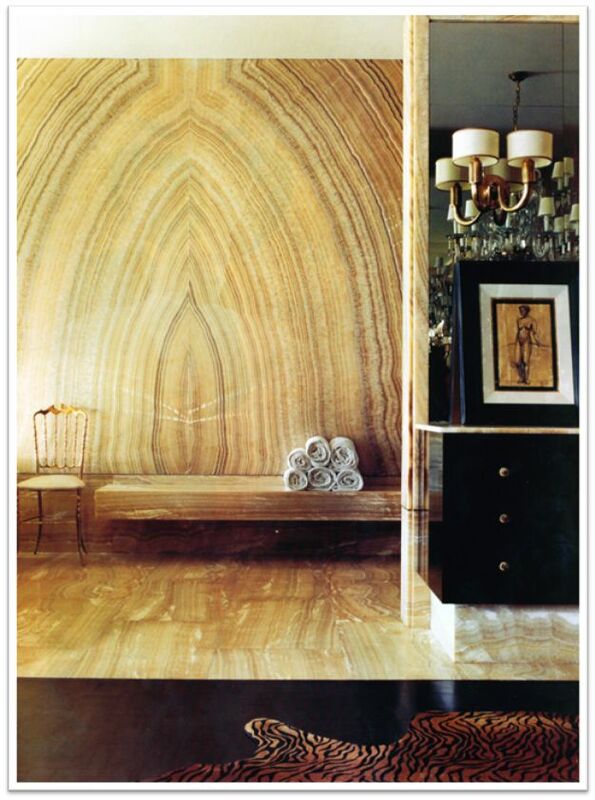 This entry was posted in Color, Design, Monday and tagged kelly wearstler, marble, marble wall, marble wallpaper, petrified wood walls. Bookmark the permalink.